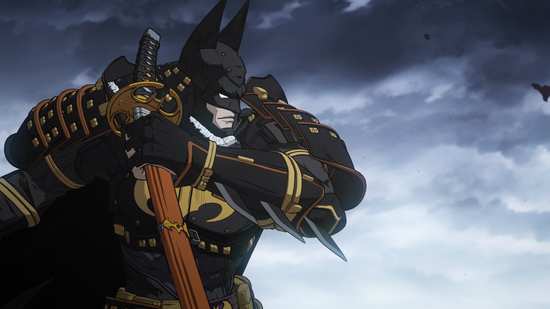 Batman Ninja seems a little redundant. Once I’d learned what a ninja was, and had moved away from the Adam West incarnation of the caped crusader, I’d assumed that Batman was a modern day, urban ninja. He’s masked, dressed all in black, lives in the shadows and the night, and has in his possession all manner of fascinating tools and weapons concealed about his person. And with his superior fighting skills, the only difference is that he arrests, rather than assassinates. 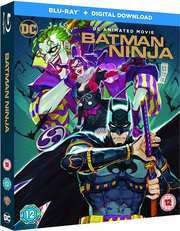 So in a movie called Batman Ninja, he must be the ultimate ninja, a ninja-squared. And that is in fact the case in this anime adaptation of Batman, when studio Kamikaze Douga got the keys to the DC franchise. I’ve seen all manner of ninja in anime, but will a ninja-squared cut the mustard? 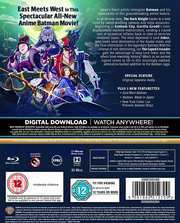 Batman Ninja gets a 1.78:1 widescreen 1080p transfer on this disc, and it’s a great one. I saw no issues with it at all, no compression, no aliasing, and not even any digital banding. 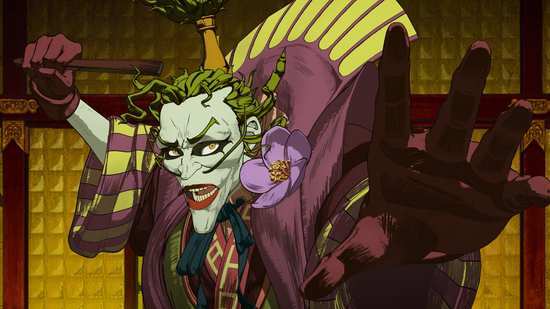 It’s all to the good, as the animation in Batman Ninja is brilliantly accomplished, cel-shaded CG animation that looks suitably cartoon-like to feel authentic, while allowing for the brilliant action sequences that thrill and hold the attention here. 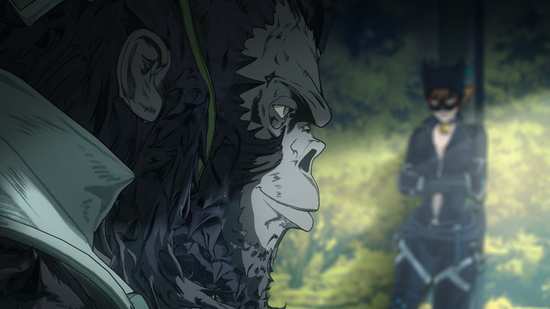 Then halfway through, the animation switches to a subtle, 2D watercolour style that is a jarring transition, but perfectly suited to the understated story arc that unfolds at that point. That’s before it switches back to CG for the action heavy climax. The images in this review were kindly supplied by the distributor. You have the choice between DTS-HD MA 5.1 Surround English, Dolby Digital 5.1 Surround Portuguese, Spanish, French, German and Japanese, with subtitles in these languages as well as Danish, Finnish, Norwegian, and Swedish. Note that there are two English subtitle tracks, an HOH track for the English dub, and a translated English subtitle track for the Japanese audio. I went with the Japanese audio with subtitles and was happy with the experience, once the volume had been nudged up a tad. The dialogue is clear throughout, and the surround is put to resplendent use in conveying the film’s many action sequences. Yugo Kanno is the composer on the film, and I was impressed with how he managed to meld the modern Batman music language with traditional Japanese themes, and it suits the story down to a tee. You get one disc in a BD Amaray style case, with an o-card replicating the disc art. There is an Ultraviolet code for a digital copy, and in the review copy that I got to see, there was also a Limited Edition fold-out poster. The Original Japanese audio is actually an extra feature on this disc. You won’t find it in the language select menu, but under the extras, which is a bizarre way of doing things. In terms of real, on-disc extras we have three, beginning with East/West Batman, which lasts 17:33 1080p and is an interview with the creators, with burnt in English subtitles for the Japanese interviewees, and optional subtitles for everyone else. Batman: Made in Japan looks further at the idea of transplanting the hero to feudal Japan. This lasts 14:03 1080p. 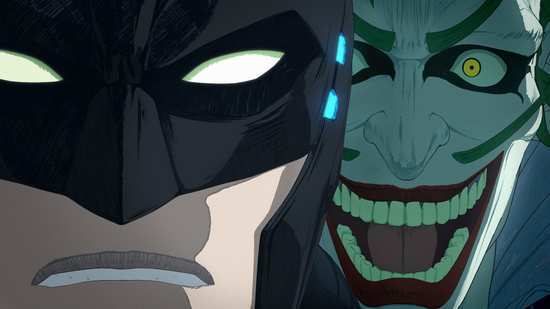 New York Comic Con Presents Batman Ninja is a stage event where the creators got to do a little Q&A time with the fans. This lasts 49:02 1080i. 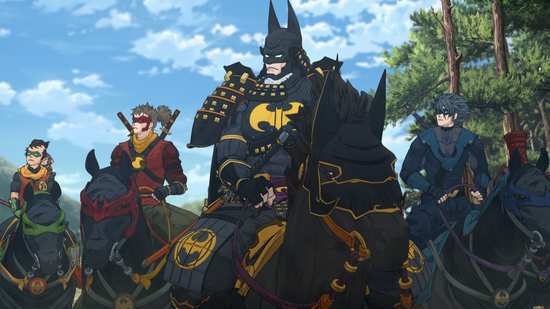 It’s Sengoku Basara, but with Batman characters! Sengoku Basara was a video-game adaptation that re-imagined the Warring States period but with hyper-testosterone characters, with the various clan warlords like Nobunaga Oda, Shingen Takeda, Uesugi Kenshin, and Toyotomi Hideyoshi painted larger than life. 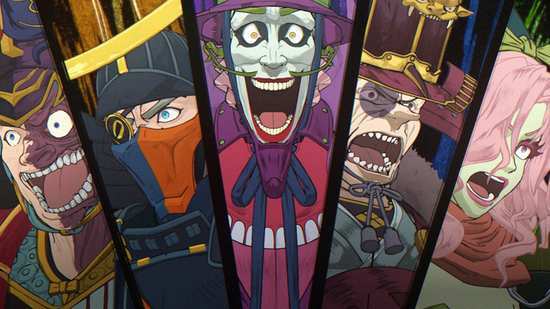 In Batman Ninja, the heroes and villains are transplanted to feudal Japan, and all of the Batman villains take the place of the warlords, each ruling their fiefdom from castle strongholds, and battling for supremacy with armies of samurai and more. Against this, Batman and his allies stand as the ninja, using skill, deception and combat skills to undo their depravities. It’s a great set-up, brilliantly executed, and so impressive that you ask just why it hasn’t been done already. Add to that the sense that Batman is once again redefined by the story. He’s stripped to the essentials, in a world where his hi-tech gadgetry is no longer effective, and what few tools he had are taken from him. He’s reduced to a man in a mask, and forced to face just who he is, just what motivates him. Once he does that, adapts to this new world that he finds himself in, he’s able to act decisively once more. And then the giant robot castles hove into view, and my interest waned. I was forewarned, as Batman’s initial face-off with the Joker showed some steampunk gadgetry in the Joker’s castle that wreaked havoc on the Batman, but really one castle with robotic arms was enough, a whole bunch of them slugging it out on the battlefield was really too much. When the combination monkey/bat kaiju avatar appeared, I lost interest completely, and woke up for the end credits. That gave me the excuse to go back and re-watch the conclusion, this time in English. Fortunately, the film ends on the right note, one-on-one, the Batman versus the Joker, no robotic stupidity in view, and it’s an ending that restored my faith in the film. The dub is in no way a close translation of the Japanese dialogue, but it does sound like a Batman cartoon, the dialogue flows naturally and is in character, which is the whole point. The one problem is that this is a CG animation, not a 2D animation, and the lip movements are more pronounced and defined than simple lip-flaps. Consequently, the English dub doesn’t quite fit visually. 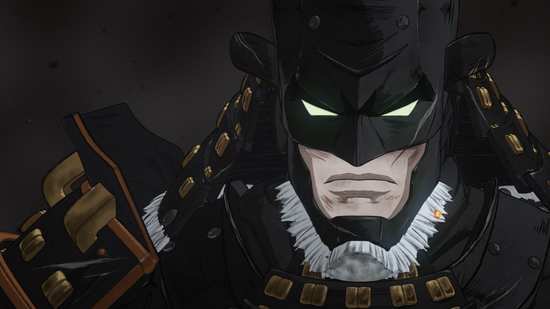 Batman Ninja was brilliant, until it went completely off the rails. Somehow it managed to pull itself back on again, but the memory of that penultimate daftness doesn’t fade, no matter how well the film actually ends. 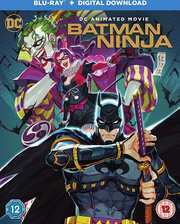 Batman Ninja is a blast to watch though, and well worth seeking out if you are a fan of the Caped Crusader.